At Stohlman Volkswagen, we know your retail therapy sessions can’t be limited to just our showroom. That’s why we’ve rounded up a list of the best shopping malls in Northern VA, so when you’re ready to load up your new Volkswagen and head for Vienna, you’ll know just where to go. Also known as Tyson’s Galleria, the Galleria Shopping Mall is THE place to go if you want to get your hands on quality brands and the latest fashion. With shops like Burberry, Emporio Armani, Louis Vuitton, and more, you’re bound to find the perfect gift for yourself or the more discerning names on your list. Two hundred unique shops await you not far from Fairfax at Potomac Mills. They offer everything from outlet bargains to high-end goods from well-known stores like Saks and Nordstrom. And, when you’re ready to take a break and rest your feet, head over to the AMC theater and catch an IMAX feature while you kick back and relax. With more than 300 specialty shops offering buyers access to everything from tasty treats to the latest fashion trends, Tyson’s Corner Center has something for everyone on your list — even picky teens who can find their favorite brands at Hollister and Cusp. You’ll even find plenty of fine-dining choices, thanks to the two food courts and more than a dozen dine-in establishments, making it a great option for date night too. Just a few minutes ride from Alexandria and Washington D.C., the Fashion Centre at Pentagon City brings all the best brands and shops to Northern Virginia. With more than 170 stores, including Ann Taylor, Armani Exchange, Macy’s and more in one place, you won’t have to look far to find the quality you crave. 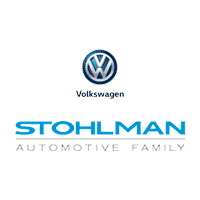 Get More Suggestions from Stohlman Volkswagen! Check out our other city pages to learn about topics like things to do in Vienna, VA and when you’re ready to test drive your new Volkswagen vehicle, contact an associate or drop by our Tysons Corner showroom.